"Let's just let this whole affair be simple…" Sony has released the full official trailer for Alex Ross Perry's Golden Exits, which played at numerous film festivals throughout 2017 and is just now hitting theaters in February of 2018. We featured the first teaser trailer almost a year ago. 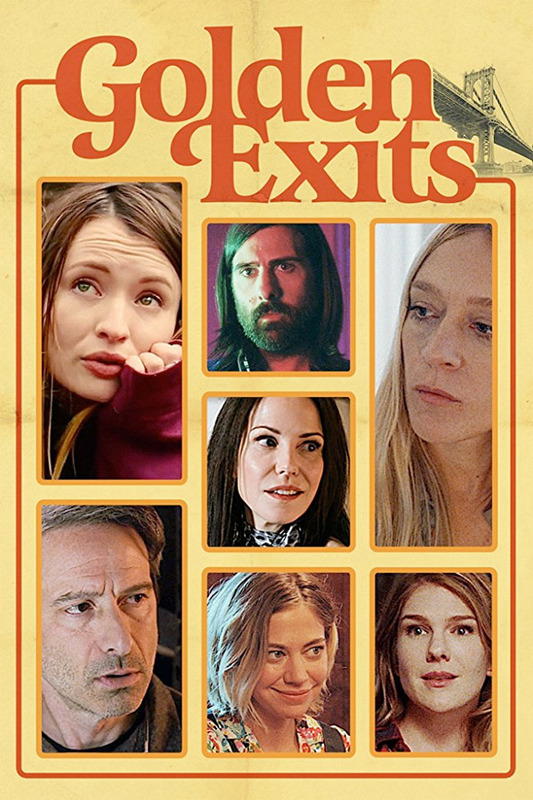 Golden Exits is an "intersectional" drama about two families in Brooklyn and the "unraveling of unspoken unhappiness" that occurs when a young foreign girl spending time abroad upsets the balance on both sides. Emily Browning stars, along with Adam Horovitz, Mary-Louise Parker, Lily Rabe, Jason Schwartzman, and Chloë Sevigny. This received bad reviews from the festivals, and you can really tell why with this trailer. This may appeal to a few people, but most should probably ignore it. The cinematography is awful, so grainy, bland, and boring. An intersectional narrative of two families in Brooklyn and the unraveling of unspoken unhappiness that occurs when a young foreign girl spending time abroad upsets the balance on both sides. Sundance says that the film explores "the personal torment belying domesticated oblivion." Golden Exits is both written and directed by American filmmaker Alex Ross Perry, of The Color Wheel, Listen Up Philip and Queen of Earth previously. The film first premiered at the Sundance Film Festival in 2017 and played at the Berlin, Wisconsin, San Francisco, Jerusalem, Helsinki, London, Vancouver, Denver & Philadelphia Film Festivals. Sony Pictures opens Golden Exits in select theaters + on VOD starting February 16th, 2018 next month.